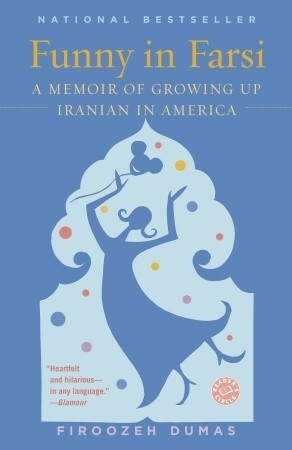 Funny in Farsi tells of Firoozeh Dumas’ move as a seven-year-old girl from Iran to the US in 1971, when her father was sent there by the National Iranian Oil Company for two years. They returned again for good. Her collection of stories about her family is not just funny but also an interesting commentary about adjusting to life in the US, during an especially hard for Iranians – the hostage crisis and the revolution, during which her father loses his job and finds it difficult to find another. Sadly it’s the same for us and the Lunar New Year celebrations. Back in Singapore, we would indeed be buying new clothes, spring cleaning, baking up a storm, buying oranges by the boxes, decorating the house, in preparation for the friends and relatives coming by to visit. I tried to do a little here myself, spring cleaning for sure (during the 15-days of the New Year, traditionally you’re not supposed to clean house as it will ‘sweep’ the luck away), baking a little and putting up some decorations. Wee reader virtually offered his grandparents oranges via Skype and I made some cookies. But it’s so different being here without family around. I remember the huge celebrations growing up. My paternal grandparents would have a gigantic feast for the reunion dinner (Lunar New Year eve), and a lion dance troupe would be hired to come by on the first day. We would all be dressed up in brand new clothes, a little bag stuffed full of ang bao (red packets of money), another bag full of oranges to present to elders. And then we would nosh on all the different snacks and drinks at the various relatives’ houses we’d visit. What fun! Of course Lunar New Year isn’t a vacation period here in the US (in Singapore, one would usually get the first two days off work), so it’s a typical working day. It’s also the husband’s busy season which means the likelihood of visiting Singapore at this time is very low! This is my twelfth read for the Global Women of Colour Challenge (challenge page). Firoozeh Dumas was born in Abadan, Iran and moved to Whittier, California at the age of seven. After a two-year stay, she and her family moved back to Iran and lived in Ahvaz and Tehran. Two years later, they moved back to Whittier, then to Newport Beach. Firoozeh then attended UC Berkeley where she met and married a Frenchman. Late for Tea at the Deer Palace traces the story of four generations of a prominent Iraqi family from the early 1900s till recent years, from their beginnings in Iraq to exile in London and Lebanon, and finally a return to their homeland. 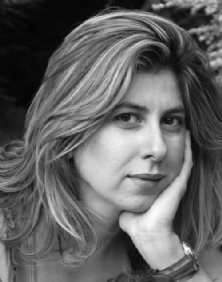 If Firoozeh Dumas’ book was fueled by the funny, then Tamara Chalabi’s was triggered by her anger. While Chalabi was born in Beirut, Iraq has been in her mind since she was a child, with memories recounted by her relatives, especially her uncle Hassan. She first visited Iraq in 2003, ten days after Baghdad’s fall. Late for Tea at the Deer Palace is part history, part memoir, discussing the fall of the Ottoman empire as witnessed by Chalabi’s great-grandfather, the ties with the British that her grandfather had, and the 1920s and 1930s social life and household customs as demonstrated by her grandmother Bibi, such a gem of a character, headstrong and prone to dramatic outbursts, and whom Chalabi tends to focus on. This book is Iraqi history seen through the eyes of the Chalabi family, who have pretty much seen it all – royalty, politicking, intrigue, military coups, exile. But throughout all of that, their love for Iraq is unshakable. This is my thirteenth read for the Global Women of Colour Challenge (challenge page). Tamara Chalabi has a PhD in history from Harvard University. Her first book, The Shi’is of Jabal’Amil and the New Lebanon: 1918–1943, was published by Palgrave Macmillan in 2006. She has written for the Sunday Times, New Republic, Wall Street Journal, Slate and Prospect on war, culture and identity. She lives in London and Beirut. I hope you find new ways to celebrate the New Year, even though it’s tough to miss old traditions. 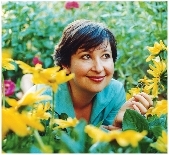 Funny in Farsi is a humorous book and now I’m curious about her second book. Thanks for sharing your own experiences with Chinese New Year! And for all your posts on Global women of color. I hope the arrival of another Wee One won’t interfer too much with your reading and writing. You’re welcome! I do hope to make time for reading and blogging with the new baby!